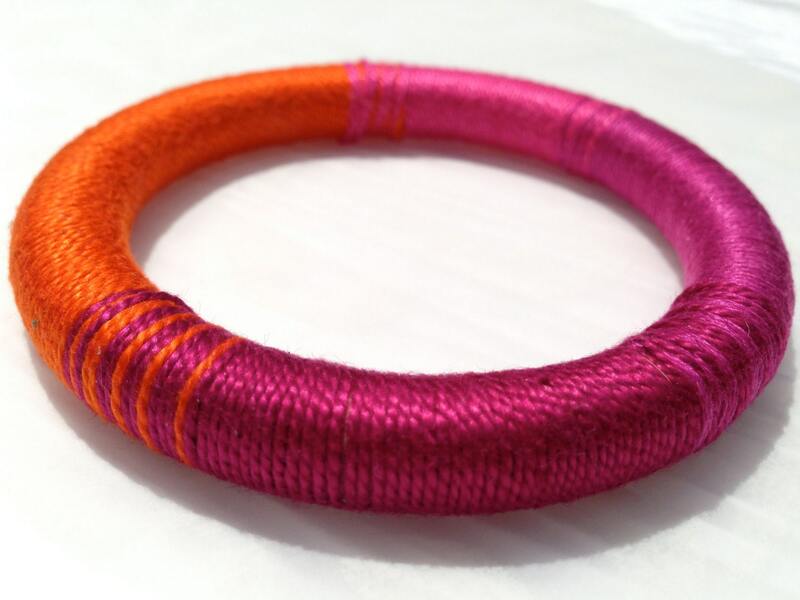 With less daylight and colder temperatures, bright colors are essential! 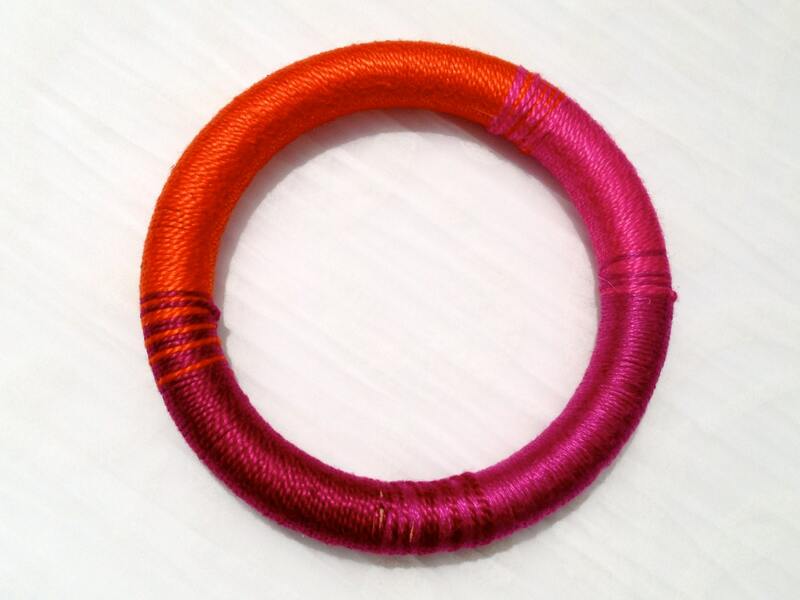 Take a walk on the wild side with this vibrantly beautiful bangle. Threads of custom-chosen colors dress up any outfit and invite a little bit of fun into any occasion. 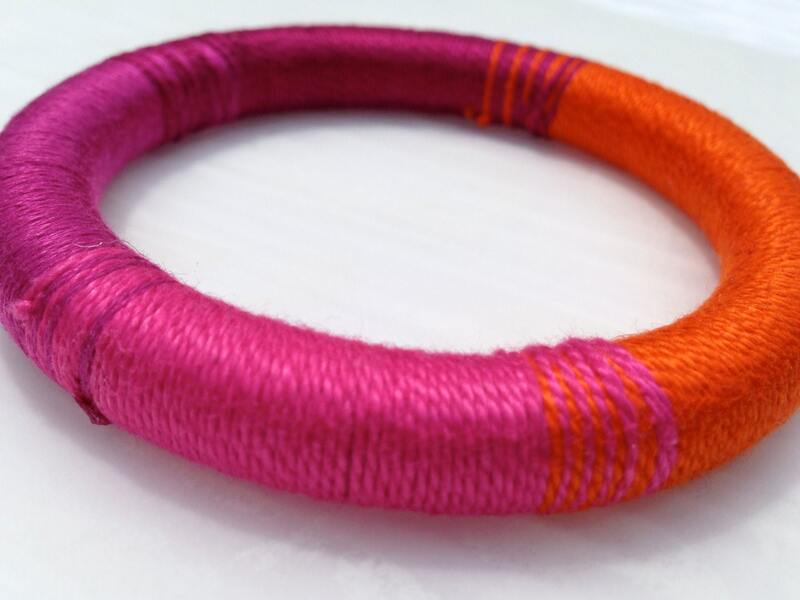 Colorful thread is wrapped around the entire outside of this beautiful bracelet. The base of the bangle is made of wood.